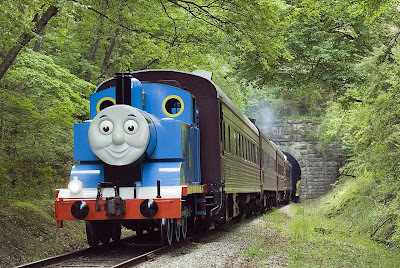 Thomas & Friends Day Out with Thomas is coming back to Heber Valley Railroad!! Come for a fun train ride and a chance to meet Sir Topham Hatt! 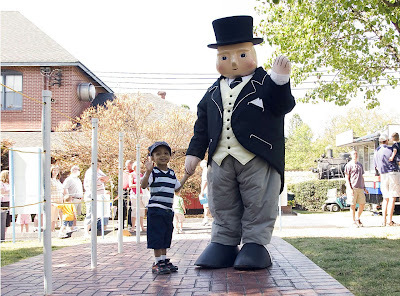 There will also be a petting zoo, miniature golf, bounce houses, face-painting and magic shows...etc :) We went last year and my son could not contain his joy. For more information and to buy tickets go to http://hebervalleyrr.org/specialevents/dayoutwiththomas/ or call 866-468-7630. 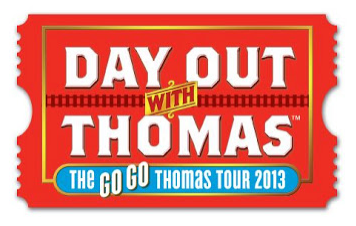 If you are not in Utah you can find a Day Out with Thomas Event in your area. One reader will win 4 Tickets to a Day Out With Thomas on the Heber Valley Railroad for Friday May, 24! If you want another chance to win some tickets Utah Sweet Savings is also giving away a 4 pack!! I would love to win this. We wanted to go last year but we didn't have a reliable car. This year we do have a good car, but we're too broke to buy tickets because we have to make the payments. LOL! My son would love it! This would be so fun to take the kids to! We did this years ago with my oldest and is was so funny to watch his reality and his imagination come together in front of him. Would love to take our 3 younger boys! I was a little skeptical at first but this actually sounds really fun! my 3 ones would love this! they have always wanted to go on the heber creeper and they love thomas so its a 2 in one deal! My son loves Thomas. Thanks for the giveaway! My 2 boys would love this! Crossing my fingers! Thanks for the giveaway. I would love to take my grandkids! They LOVE Thomas! My Daughter would love to meet Thomas and his Friends in person! !